Product code: W432cc Categories: Sold Items, Sold Rolex Watches. Rolex is without a doubt the most well known watch company in the world and here we have a magnificent ladies Rolex Oyster Perpetual Datejust “President” model 69178 in 18ct solid gold. This is one watch that feels as great on the wrist as it looks thanks to the solid gold case and Rolex President band. Measuring 26mm across plus the Rolex screw down crown, this is such a comfortable watch to wear all the time day or night. 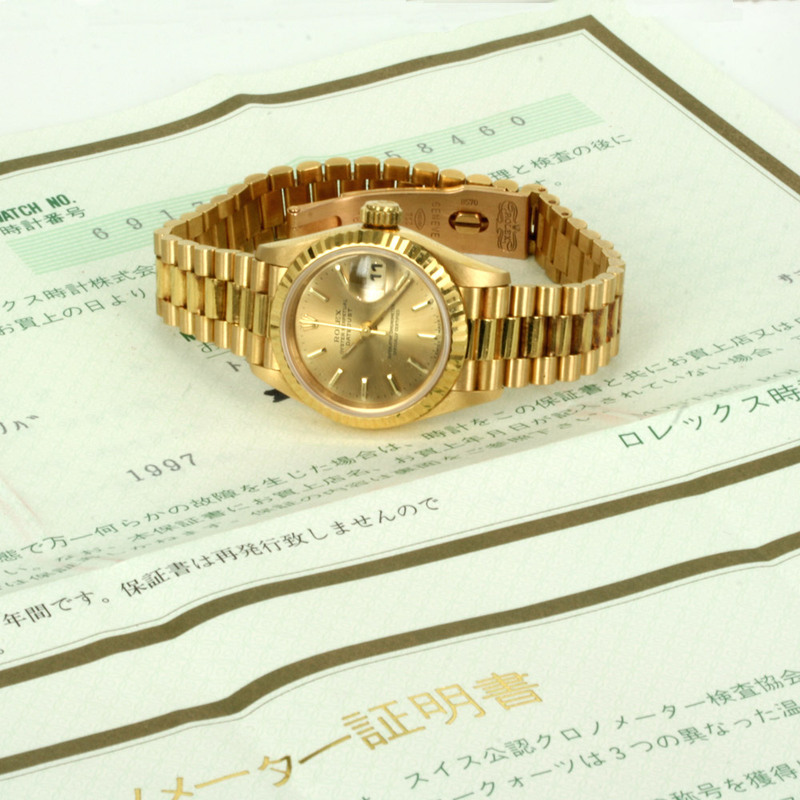 Fitted on the solid gold Rolex President band that is in wonderful condition, this Rolex also comes complete with its box and papers. With the fully jewelled automatic movement running perfect, it comes with our 12 months warranty. For a Rolex watch that stands out so elegantly, here is one that is simply perfect.